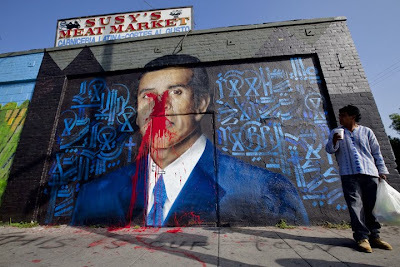 LA Photo: Mayoral Mural Attacked By Vandals, Again. 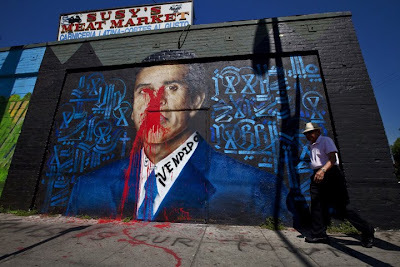 Vandals updated their attack on the mural of L.A. Mayor Antonio Villaraigosa. This time they spray painted the spanish word "vendido!" on the mural. A vendido is one who sells out their people. The mural was first attacked by vandals with red paint. 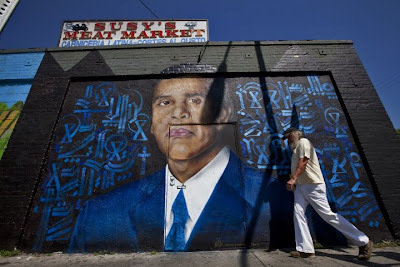 The mural is located at Susy's Meat Market in East Hollywood.